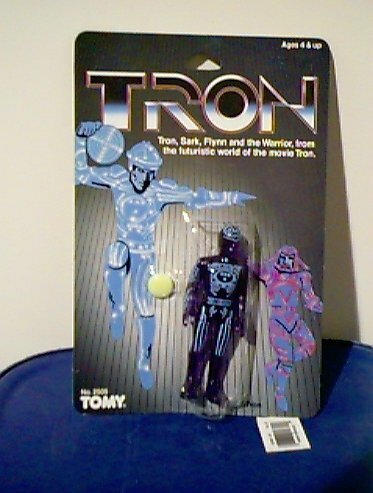 Welcome to the Tron Toy archive maintained by The Voice. These toys were made in 1981 from Tomy in Japan. 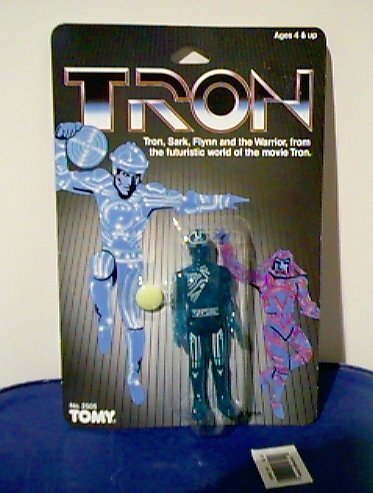 There are four figures; Tron, Flynn, Sark, and the Warrior. The first three come with discs that attach to their backs and the warrior comes with a long staff. The accessories glow in the dark. There were also two types of Tron Lightcycles; a yellow and red version. Rumors have spread of a Blue Lightcycle but this is just a rumor. If you have pictures or knowledge of toys not listed please email me. Click on the picture to see each figure mint on card. 1. 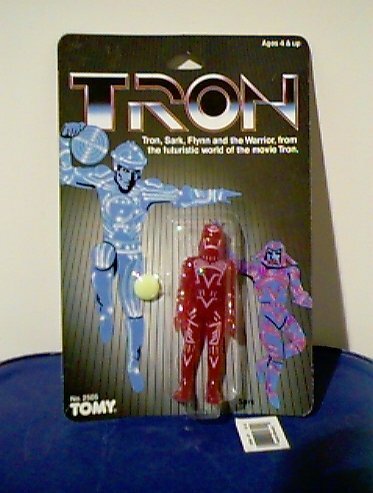 Tron - comes with disc. 2. Flynn -comes with disc. 3. Sark- comes with Disc. 4. Warrior- comes with staff. Here are the two Lightcycles. There is one yellow and one red. They come with ripcords that help them go speeding along their way. They also open up so you can put a figure inside. The figures do not seem to fit very well though. 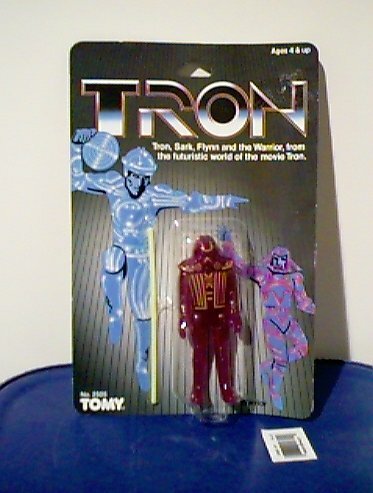 Tron is copywrited in 1981 by Disney. Make sure you go to my MAIN PAGE!